Tennessee drivers will find that there is no shortage of options when it comes to selecting a sport utility vehicle these days. Automotive manufacturers have heard the American consumer’s demand for more truck and SUV options and are flooding the market with all the old stalwarts as well as plenty of new additions like compact crossovers and mid-size SUVs. Most of the automotive giants running the show have even gone so far as to minimize and even eliminate car and sedan production at their American factories essentially discontinuing any large scale production of any vehicle smaller than a compact SUV. Manufacturers have responded so soundly to consumer demand that many Tennessee auto buyers may even be suffering from a bit of SUV fatigue; the onslaught of new offerings on the market can essentially make buyers uncertain of brands and their new models making it difficult to discern between which SUV best suits their needs. New additions to a brand’s vehicle lineup are not necessarily a bad thing, but sometimes it is nice to see an old familiar face with a fresh updated spin in order to rally consumer confidence. To help absolve some of the SUV fatigue that may have begun to set in, Tennessee Chevy Dealers have a new model SUV coming out in 2019 with some of the nostalgia associated with trusted name recognition that is in such short supply these days. 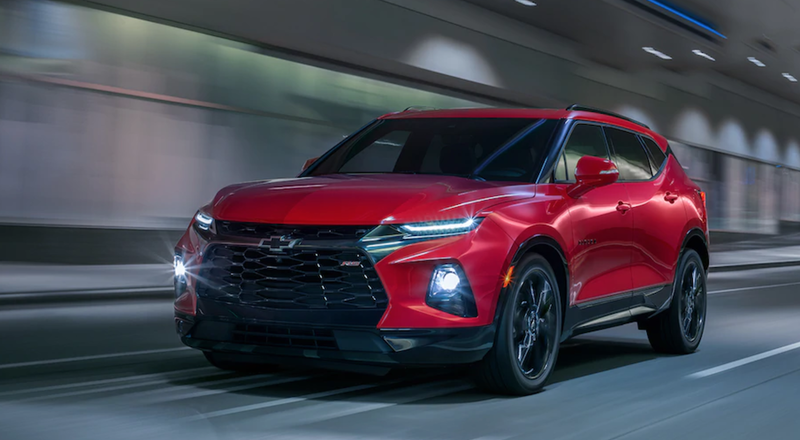 This is where the 2019 Chevy Blazer steps in; Chevrolet is reviving the Blazer in 2019 and putting the legendary Camaro performance styling on its SUV brand that places it right between the compact Equinox and the full-size Traverse SUV. With the release of the sporty, Camaro inspired Blazer, Chevy completes a full lineup of SUVs, providing drivers with any vehicle no matter how big, small, heavy-duty, or sporty their needs are. From a purely aesthetic point view, the 2019 Blazer is sleek and rides low to the ground for a sport utility vehicle and clear design flourishes definitely hint at its Camaro inspired creation. With a low clearance and wide wheel setting, the Blazer both looks and feels like an old school Camaro with some additional body to it. You won’t begin to assume that this edition of the Blazer will make it to any offroad tracking, but you sure will want to open it up on the open road and backwoods highways. The all-wheel-drive version of the Camaro inspired Blazer comes standard with a 3.6-liter V6 engine that produces a whopping 308 horsepower and 270 lb-ft of torque. This kind of power puts the Blazer in the company of few when it comes to SUVs, and its pairing with a nine-speed automatic transmission thins out the crowd, even more, ensuring not only power but efficiency when you really push for speed. A front-wheel-drive mode is also available that comes with a 2.5-liter inline four-cylinder engine, but you will definitely want to splurge on the V6. The powerful engine is tempered with a more traditional inline SUV suspension that provides smooth handling, sturdier steering, and responsive braking all aligned with comfort as a priority. Drivers get the power and performance standards of a Camaro engine with the comfort and smooth ride of a luxury SUV. Comfort and Utility, Unheard of in a Camaro? Generally speaking, a sport-styled automobile with speed, power, and high-performance standards rarely gets described with the words comfort and possibly never with utility. However, Chevy designers have crafted a sporty SUV that provides both in this hybrid concept vehicle. The 2019 Blazer has a cargo area that feels more than substantial for a mid-size SUV without ever sacrificing the comfort of its passenger seating. With all seats in their upright positions, the Blazer touts a sizable 30.5 cu.ft. of space, room that should be more than enough for the majority of drivers day to day storage needs; and with the seats down, the Blazer’s storage capacity really opens up extending that 30.5 to a substantially larger 64.2 cu.ft. of space! This in addition to clever cargo management systems makes the 2019 Blazer not only a sleek, sporty ride, but a practical ride for day to day errands and longer trips that require extensive luggage. Chevy has clearly made it a point to amp up their available technology on all fronts and they wisely make it standard throughout their lineup of vehicles. The Blazer is no exception as the Chevy MyLink technology and Bluetooth connectivity do not disappoint. With an 8-inch touchscreen, the infotainment system provides an intuitive interface that is both responsive to touch and crystal clear in sharpness and image. Such touches to the infotainment system like pinch-to-zoom really showcase Chevy designers’ thoughtfulness and ingenuity toward meeting the needs and wants of drivers. As per a usual Chevrolet vehicle lineup, the Blazer has navigation, Apple CarPlay and Android Auto, as well as a 4G LTE WiFi hotspot. On the exterior of the vehicle, luxury additions like a hands-free sensor system that allows drivers to open the rear hatch are also nice additions to facilitate day-to-day ease of tasks you may never have known you needed help with. Not only are these luxury additions made available, but they are done with flair as well. The sensor recognizes you on approach to the vehicle and shines a light beneath the bumper of the Chevy logo; waving your foot over the logo then opens the hatch. The lowly priced $2,165 Driver Confidence II package is available providing driver’s with Chevy’s top of the line driver assist aids including features like a wireless charging pad for smartphones, a 360-degree “Surround Vision” camera, and GM’s Rear Camera Mirror (the mirror is capable of replacing the rearview reflection with an actual video feed of what’s behind you). SUV fatigue can officially take a back seat when Tennessee Chevy Dealers release the 2019 Blazer. 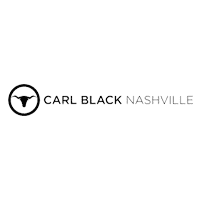 Drivers will get the assurance and consumer confidence that comes with the Blazer brand name recognition while also getting a much needed fresh spin on a mid-size SUV. The 2019 Blazer will definitely turn some heads as you pull up either at school to pick-up/drop off the kids or when you pull into your office parking lot. With the sleek Camaro inspired exterior, there is no other Sport Utility vehicle on the market close to matching the Chevy Blazer in appearance. Adding to the aesthetic appeal is the full utility of an SUV with plenty of cargo room and space to seat five adults comfortably; whether you are looking to haul your family or about to pack in for an outdoor excursion with some close friends, Chevy has created the perfect vehicle for you. 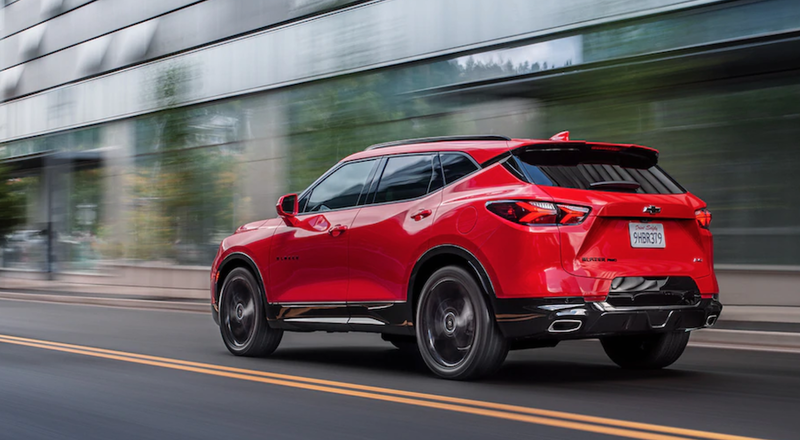 The 2019 Chevy Blazer is a success in dual concepts making it the perfect vehicle that is capable of meeting multiple types of drivers needs. From large and small families to single individuals who require lots of cargo space, the Blazer is the perfect mid-size SUV that will take you there in style.